The Greenwich line could see three services cut in the evening peak, and one in the morning under planned timetable changes starting in January 2015 .The upcoming London Bridge station rebuild will see some substantial alterations to services. With less platforms in operation, it is looking likely that the Greenwich line could bear the brunt. We should find out imminently with the release of the proposed timetable in operation throughout the first stage of the rebuilding work, up to August 2016. Southeastern carried out a consultation at the end of last year on their proposals. One of them was to cut the all-stations 17:06 service from Charing Cross (calling at London Bridge at 17:14) via Greenwich. This would leave a 22 minute gap between trains from London Bridge to Deptford, Maze Hill etc. The previous train stops at London Bridge at 16:58 and the next at 17:20. There is a train at 17:10 but this is a fast train which only calls at Greenwich, Charlton, Woolwich Arsenal and Abbey Wood. The proposed cut service calls at all stations to Slade Green then swings back round via Sidcup to go back to Charing Cross. The consultation proposed starting it at Slade Green heading to Charing Cross via Sidcup. I used to use this train to get home, and it was comprised of 8 carriages. It will be interesting to see what is done to alleviate this. The 17:10 London Bridge train could become an all-stopping train but this would still be a reduction in capacity. One possibility is that it is lengthened to 12 carriages after the rebuild of platforms along the Greenwich line. If this happened it would not be able to stop at Woolwich Dockyard which can only accommodate 10 carriages. One to keep an eye on when the timetables come out. Recently there have also been mentions of additional long distance southeastern services. With the severe pressure on capacity from 2015 it could mean that these are at the expense of ‘metro’ suburban services. One of these possible new services is one from Ore. Other proposals are a new fast service from Ashford. If this does happen Southeastern may justify it by claiming that trains which are currently 6/8/10 carriages will become longer, with some perhaps going to 12. However 12 carriages can only operate on fast trains. The issue with short platforms at Woolwich Dockyard prevents 12 carriage running. Many trains across the UK have had ‘selected door operation’ installed to allow trains to stop when longer than the platform. The Networker trains southeastern use have not had this despite the millions spent on upgrading every platform on the Greenwich line to 12 carriages, along with power supply upgrades. 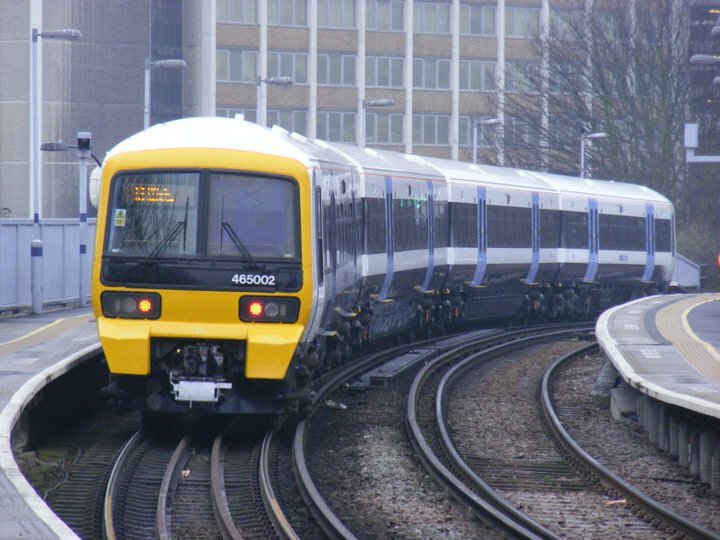 The other trains southeastern have (ordered by Connex) can be no longer than 10 carriages due to a lack of forward planning when ordered around 10 years ago. There won’t be any new trains as things stand for at least 3 years – when the London Bridge upheaval should be over. This is in contrast to pretty much every other London based franchise. South West trains have additional carriages from southern, who in turn have ordered hundreds of new carriages to not only cover those but extend their services. 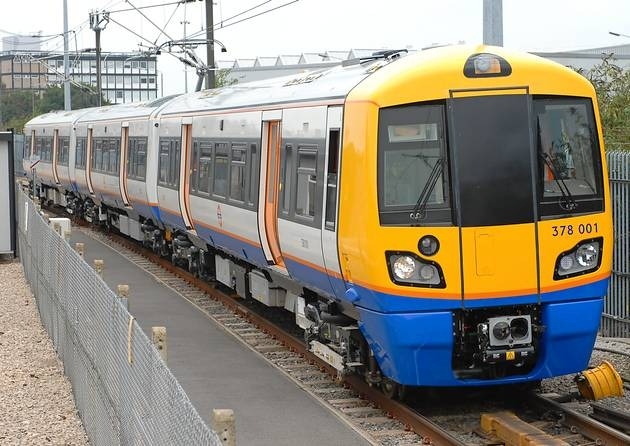 London Overground trains are being lengthened over coming months. They are also taking over some Greater Anglia lines and purchasing new trains. Thameslink are to receive hundreds of new carriages, and some of those will likely go to First Great Western in a couple of years. If the cuts occur then at best we will see capacity maintained through longer trains despite the reduction in frequency. This is probably a best case scenario and it will be intriguing to see how this increase in capacity is managed throughout the peak to avoid pressure building up at certain times. It’s very unlikely that capacity will be increased despite rapid population growth and large scale developments along the line. It will be a tight squeeze up to 2017/18 when rebuilding is complete and crossrail opens. Another thing to keep an eye on is a better service from Victoria to Dartford via Lewisham. It currently has just 2 trains an hour off-peak, and does not run after 8pm or on Sundays. There have long been calls for this to be improved. Southeastern propose this and it is likely it will run to a midnight departure from Victoria. It’s an important link for SE London to an important London terminal, and connection to London Overground at Denmark Hill and Peckham Rye. It also serves the large hospitals at Denmark Hill. Yet it currently has a service more suitable for a quiet rural line than one in London serving important destinations so this would be good news. Longer peak trains are needed but a lack of stock again prevents this. Southeastern last week came bottom of Passenger Focus’ nationwide passenger survey. This is a few months after they came dead last in Which magazines nationwide survey. Southeastern blame the weather. They were badly affected but so were many others like Southern and South West trains. Where southeastern fall down is communications. The rolling stock issue also comes to the fore again. Issues happen which often aren’t southeastern’s fault but are compounded by short trains. Negotiations with the Department for Transport (DfT) continue regarding the Direct Award contract to run the franchise from October 2014 until June 2018. Until this is concluded it is not impossible that another company could operate the trains including the state owned Directly Operated Railways which currently runs East Coast, and operated Southeastern to a good standard before it was privatised again by Labour in 2006. I suppose there is still a very slim chance TfL could get the suburban routes if negotiations go badly, but this is very unlikely. Operating the service throughout the rebuild is a bit of a poisoned chalice, but TfL could perhaps bring passengers round by ordering more stock as they have on other routes they’ve taken over, and greatly increasing off-peak services. TfL would also be more likely to put a challenge to the peak time cuts. Still, it seems that ship has sailed. It’s not looking very good for the Greenwich line, nor other southeastern suburban routes. The TfL takeover which promised so much has now seemingly been put on the back burner. No new trains will arrive any time soon, services to Charing Cross will permanently cease for those past Charlton from January and peak time trains could be cut. The area also currently has some of the lowest off peak frequencies in all of London. If the new timetable confirms peak time cuts and doesn’t greatly improve the off-peak frequencies, southeastern passengers will rightly be asking quite a few questions about the service they receive and local politicians will need to make themselves heard. When the timetable is out I will write a new post regarding what services, if any, are cut, and what will happen to other services. How about bringing Maze Hill and Westcombe Park into zone 2, aligning them with North Greenwich tube, as a way of compensating us poor hapless commuters?